Samuel Beckett waits for the Dog and Cat dynamic to play itself out. The original photography that sparked my interest for the story was of the drill which made this hole, posted on Kottke. The drill almost looks like an illustration to me, my presumption is that this is because the drill is moving in a low light setting—but it certainly looks surreal. 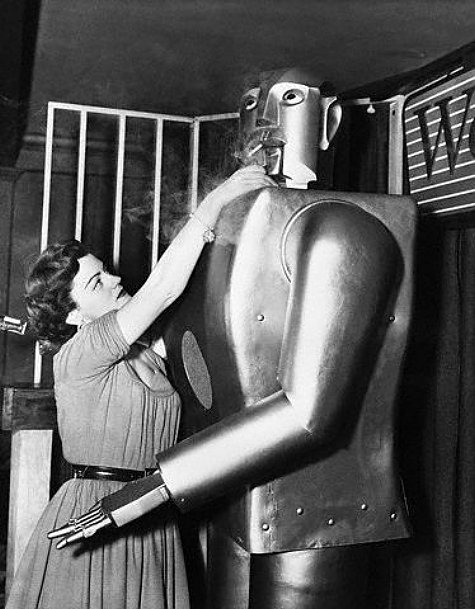 February 7, 1954 – Washington, DC – TV singer Jeanne Dowling lights a cigarete for Elektro, a seven foot robot built by Westinghouse. 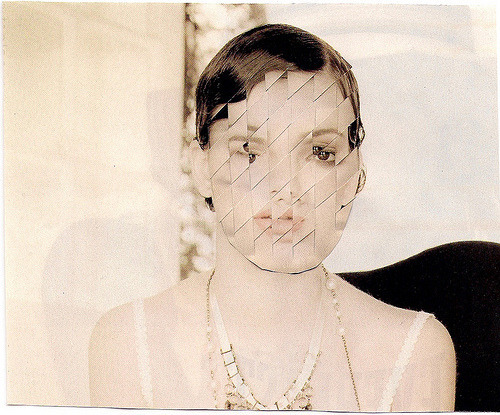 The robot, which is fully capable of “puffing” the cigarette itself, can also play the piano and do other tricks. The robot is exhibited at a local hotel here.